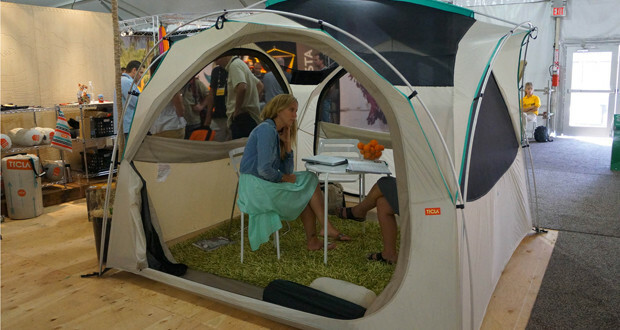 Venutra, California-based Ticla is planning to storm the market (and your campsite) in the Spring of 2014 with a complete lineup of tents and camping accessories designed to make your outdoor experience the best it can be. 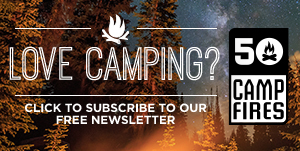 The Ticla Mojave Tent is part of this new offering. They refer to it as the “Goldilocks Tent”. Not too big, not too small. Not too hot, not too cold. Just right! The floor plan is designed to comfortably sleep 4 adults (not in the traditional sardine fashion) and is tall enough to stand and comfortably move around. The rainfly provides the coverage you need, without compromising views or ventilation. 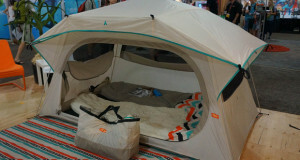 Just like their other tents, the Ticla Mojave tent is built from rugged poly to withstand both kids and pets. All of these features and space are housed in a unit that’ll fit perfectly into a standard 10×15 campsite. 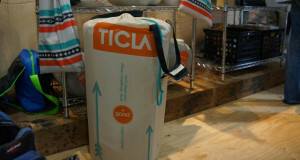 The Ticla Mojave will be available in the Spring of 2014. 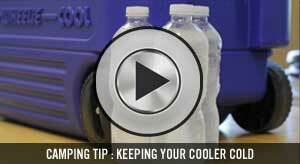 For more information, visit Ticla’s website.